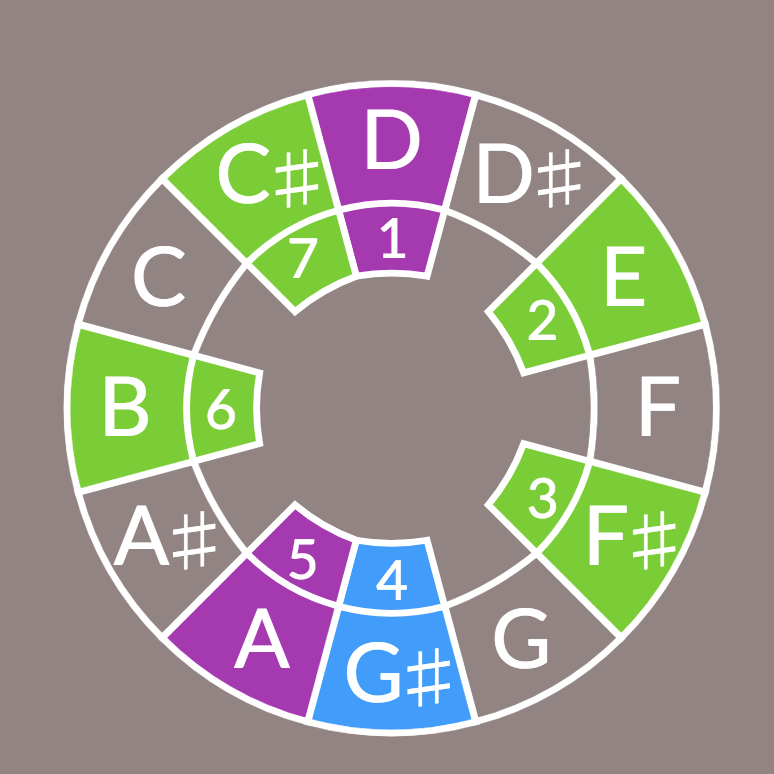 The aQWERTYon pitch wheels and the future of music theory visualization. Vi Hart's YouTube video on the 12 tones used in western musical scales. ScaleWheel conceptualized by Ethan Hein, with further inspiration from Kevin Irlen's IrlenWheel.